Beautify is owned and operated by Ben Johnson. Ben is from Utah but has been a resident of Las Vegas since 2001. He employs an army of skilled employees that maintain and install residential landscaping and trim trees as well as clean pools. Our company goal is to plan, install and manage landscapes that take advantage of the natural climate and surrounding environment of your property and compliment it with a variation of colorful flowers and plants and add water features such as ponds, waterfalls and rockery set that will give your garden the perfect tropical look! Water features also attract birds and butterflies that will not only add beauty to your landscape but also introduce a natural element to your exterior décor and environment. Living Water Lawn and Garden is a complete landscape / masonry design and installation company servicing the entire Las Vegas valley. We are a certified Water Smart contractor recognized by the Southern Nevada Water Authority. We employ ICPI certified (interlocking concrete pavement institute) installers to install our paver and masonry projects, and have undergone hundreds of hours of continuing education in this field. We have been in business since 2000 and have 40 years combined experience in the landscape and masonry industries, specializing in residential landscape and hardscape design. Living Water is the one stop solution for all your out door living needs. It is our goal to design and install a landscape and hardscape that brings beauty to the desert, is functional according to our clients needs and that is water efficient. Living Water Lawn and Garden's promise to our clients is to commit to doing the job right the first time. We do what we say we are going to do and we will treat your home as if it were our own. Living Water Lawn and Garden is a licensed, bonded and insured Nevada state contractor. All of our work is warranted under contract. We work with a number of other qualified trades in the industry, ensuring a job well done. We are proud members the Better Business Bureau. All major credit cards are gladly accepted. For over 20 years Pierro's Landscape & Maintenance Company has been devoted to designing, improving, and maintaining the outdoor landscape throughout the Las Vegas Valley. Owner and native of Las Vegas, Aaron Pierro understands the importance of his involvement in every project. This licensed and insured company offers you the ease of working closely with the owner. Utilizing his experience and uniqueness to design; finished projects result in client's expectations continually being exceeded. Pierro's Landscape and Maintenance is a member of the of the CAI Nevada Chapter. This respected organization provides helpful information about the community. This source of continuous education has given Pierro's extra knowledge and has opened numerous doors for Pierro's to stay in touch with their community. Pierro's are also proud supporters of the Clark County School District. Pierro’s takes pride in all of their residential and business properties while specializing in homeowners associations. Customers will enjoy working with this motivated and knowledgeable professional company. Pierro’s is committed to providing great customer service along with grade "A" quality work. At Modern Landscape we specialize in Modern/Contemporary outdoor spaces as well as natural themed gardens. No one knows more about plants, landscapes, and how it all works together in our Las Vegas climate than Modern Landscape. We’ve got your landscaping project covered from head to toe. Once hired, you’ll have a team of specialized experts ready to set you up with a functional landscape with everything your heart desires. Oh, and we do it all with a friendly smile, a helping hand, and every ounce of our expertise. What to Expect From Us A company that shows up on time for each appointment Excellent communication A family owned business that actually feels family owned. A complete in-home presentation (so you never have to go anywhere) Most landscapes completed within two days Knowledge of HOA requirements We are also state licensed by the Nevada State Contractor’s Board and have been in business since early 2004. The owners of Las Vegas’ Desert Springs Landscaping, LLC, a full-service residential and commercial landscaping company offering building and on-going maintenance, have been making landscaping dreams come true for more than 20 years. 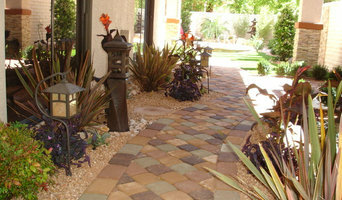 We are your Las Vegas landscapers of choice. The company offers a wide range of landscaping services in Las Vegas, Henderson, Green Valley, Summerlin, North Las Vegas, and other areas. Contractor #52987. The company also specializes in Las Vegas swimming pools, Las Vegas Jacuzzi brand of products, Marquis Hot Tubs, and other landscaping and yard needs. Twilight Designs is a Las Vegas company creating the most artistic and distinguished landscape lighting projects in the area. Winner of multiple national landscape lighting awards. We are experts in the latest in LED technology with over 14 years experience installing landscape lighting systems built to last a lifetime. Eclipse Landscaping Service is proud to be recognized throughout Las Vegas as a leader in landscape maintenance and services. Our crews are well-trained, uniformed, and take pride in keeping your landscapes beautifully maintained throughout the year. Eclipse Landscape Services also provides full landscape maintenance services for Homeowner's Associations and all other commercial properties in Las Vegas and its surrounding areas. Eclipse Landscape Service has also become leader in landscape design and construction. Whether it is paver installation (which we are IPCI certified to install through Belgard Hardscapes) outdoor kitchen installs, landscape lighting, fire-pits, or water features Eclipse Landscape Services can make your backyard a perfect oasis for all of your friends and family to enjoy. Other services provided by Eclipse Landscape Services include design and installation of retaining walls, stone driveways, landscape lighting, and artificial turf. Additionally, we are SNWA Water Smart Contractors for the Water Smart Homeowner Rebate. J&K landscaping has been Landscaping the Las Vegas Valley and surrounding areas since 2005. 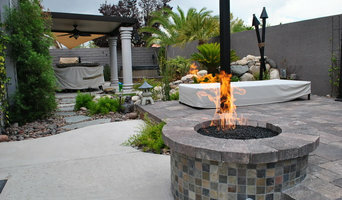 Terra Green Landscape has been Landscaping Las Vegas since 1995. As experienced Las Vegas Landscapers, we have become experts in providing quality landscape design, installation, and maintenance for our customers. With a variety of landscape styles and maintenance techniques, Terra Green Landscape can accommodate you with all of your landscape needs. We provide quality Maintenance to both Residential and Commercial Customers. Transforming your yard, and creating an inviting environment that homeowners will want to show off, is what we love to do. The Courtney Landscape and Pools team has a combined 50+ years of experience in the industry. Our team has worked together on over 5000 projects to date and we know how important a team approach is to serving our customers. Select Landscape Services, LLC has been serving Northwest Las Vegas and Summerlin for over 18 years. Our passion for creating and maintaining landscapes is what drives us to always improve our processes and implement new techniques in our trade. Through continuing education we ensure that our clients always receive the best advice and quality work they've come to expect from our company. Our process starts out the same regardless of which service a prospective client requires. We start out by visiting your property and assessing the work to be completed. Based on our expert recommendations and advice we guide our clients to the best decision on how to handle a project. Experience the best of an established Las Vegas Landscape Company — knowledgeable service, affordable rates, and outstanding customer service. Call us today to setup a free estimate! Cardinal Landscape is proud to be your Home Depot Landscape installation service provider and partner. Our team of professionals will design and install your landscape needs from new installs to complete restoration of existing landscapes. We have experienced installers of Water features from small ponds to larger 10x15 water falls & coy ponds that will bring any landscape to life. Cardinal Landscape has worked with the SNWA as one of their preferred Contractors for Water Smart turf conversions & Xeriscape installs over the past 7 years. All staff members have been certified by the SNWA to properly plan and install turf conversion projects and must attend yearly refresher courses to remain in good standing. Because of our relationship with both the SNWA and The Home Depot we can make your conversion project simple and easy. Our expert installers also know the importance of proper soil amendments when planting new plants that will provide your landscape with vigorous plant growth for years to come after the initial install. All our installers are also certified to properly install drip irrigation, overhead spray for new turf watering and low voltage lighting. We only use quality materials and pride ourselves with the same quality workmanship on each and every job too insure your experience with your new landscape will be one you can enjoy. Cardinal Landscape has been installing landscapes in the Las Vegas Valley since 1993 and is also a member of the NLA, (Nevada Landscape Association). The NLA and its members are dedicated to build a better understanding of new products and installation techniques to ensure that the public and community are well informed and satisfied with the workmanship of its members and their businesses. All members work very hard to stay informed and work side by side with various municipalities to ensure the Las Vegas Valley and its residents are not restricted to just desert landscapes. 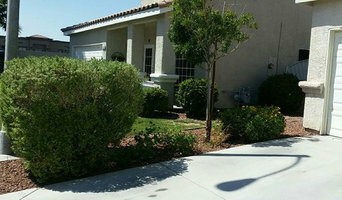 By using water efficient products and water smart installation techniques we have been able to continue installing a variety of landscapes in the Las Vegas, and surrounding areas. What does a Las Vegas landscape contractor do? Landscaping contractors execute lawn, garden and hardscaping plans that have been drawn up by an architect or designer. They may also provide design services on their own. After the everything has been installed, landscape companies can make adjustments, maintain plantings, take care of weeds and pests, and perform other tasks to keep the scheme looking its best. A licensed Nevada landscaper should have detailed knowledge of Las Vegas, NV weather and climate trends and conditions, and can choose plants and materials that are well suited to the area. Residential landscape companies in Las Vegas, NV also handle many of the same general duties as builders, including arranging for construction permits, hiring subcontractors and making sure that designs comply with Nevada building codes. Find Las Vegas landscaping services on Houzz. 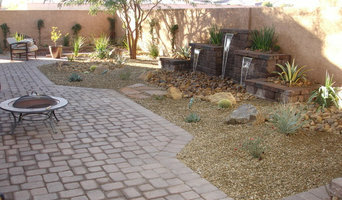 Narrow your search in the Professionals section of the website to Las Vegas, NV landscape contractors. You may also look through photos of Nevada landscapes to find one you like, then contact the landscaping company in Las Vegas, NV who worked on it.